It’s always great to listen from authors about their journey of writing and I am glad I got this chance to Interview Authors. A short interview with Author Ameya Agrawal. Ameya Agrawal ( 22 years ) is an Engineer, Author, Motivational Speaker, founder of ZOVY STUDIOS and Founder – Lyrics of Success movement where he aims to build a community that is skilled at bringing like-minded people together and eventually help in the upliftment of the society. He graduated from MIT College Pune. He started writing his first book titled A LEAP WITHIN at the age of 19 based on the lessons he learned as a youth. 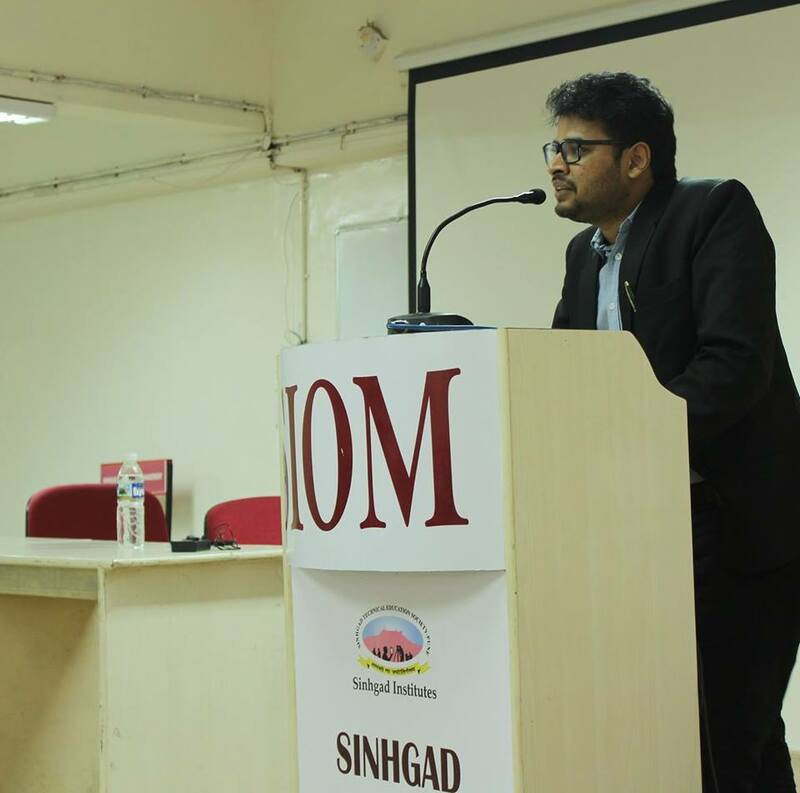 Ameya is Director of Leadership Development at Rotaract Club Aundh, Pune and is a frequent speaker and invitee at various institutes to share his experiences. He also received critical acclaim from the best and the brightest in the leadership development field like Dr Radhakrishnan Pillai etc. His book also owned him a National Record for being the “ The Youngest Engineering Student To Write A Book On Self-Motivation’. He is also the recipient of the LEADERSHIP EXCELLENCE AWARD for his contribution towards youth development. Being a constant promoter of encouragement among the youth to pursue their dreams, his work is widely covered by various online publication, media, press, and newspapers. His book was also launched at the 6th Bharatiya Chhatra Sansad at the auspicious hands of Legislative Speaker of Chhattisgarh and Prime Minister of Tibet in presence of over 10K students, student leaders and MLAs. 1. How long it took to finish your novel? It took almost a year and few months to jot down all my observations, line them up properly and prepare a book that can actually work. I started writing this book when I was in the second year of engineering and completed it in around the third year. 2. What kept you going? When you land up in engineering, for most of the people like me there is only one hope that keeps you going through those 4 years. And that hope for me was my book. I always wanted to write something since I was in 10th grade. I finally had a chance. How can I let go! 3. Your interests other than writing? Eating. If that counts! *Laughs* I like playing video games, read about how different businesses impact lives of people and listening to great personalities. 4. Who are Your Favorite writers and which books is your favourite? You know what this is my regular answer when asked about my favourite books, but there are 2 3 books which I actually devoured without forcing myself as if I was just gliding through the pages. 5. When are you planning for your next book? I am working on my second book since the date A Leap Within was launched. The second one also being based on self-motivation I decided to put in the practical experiences and learning I experienced as a person going through some of the most important years of life i.e teenage to adult. I hope the new one in the series will be out soon. I am glad that life gives us so many chances to learn and share it with others. 6. Your book has quotes, stories, and great one-liners, tell us your favourite part of the book. Haha! Since I wrote it, of course, everything is my favourite. The one-liners about various subjects like happiness, life, I like them a little more. 7. What is the main thing you want readers to take away from your book? What I want my readers is to understand that I didn’t write the book to teach or preach them anything. The things I wrote in the book are as old as mountains and stars. My only request to them is while reading the book, keep an open mind. Don’t just scratch the surface of the book or your inner self. Let it seep inside. The reason I included so many little aspects of the book is to enable the reader to create that scenario around themselves, put themselves in there and then realize how different and better they can do in those cases. This book is not written by me but by us and we are equally powerful. Let that power guide us towards goodness and inspire a million others. 8. What has been one of your most rewarding experiences as an author? That smile on my parent’s faces. I am a non-fiction writer, I am myself learning about the same, but as far as I know, I believe it is the ability to stay true to your characters, showcasing their journey in such a way that the targeted reader can feel themselves in it while reading it helps make a story better. Nowadays readers didn’t just remain readers, they have become critics too. They want logic to be it fiction or not. And a storyline which can combine logic with fiction does steal readers’ hearts. 1) Hard work doesn’t guarantee success, dedication and persistence do. Universe falls in love with a stubborn heart. 2) Mere struggle doesn’t matter. People seem to be encouraging you but they only support when you give results. 4) Most of the times, things will mess up. You don’t have an option. You cry or not, there you have an option. 11. A Message for all Aspiring writers. In my talks with the various institutions as well as to my readers, I always encourage them to start taking actions. I have seen people wanting big things in life but have no idea where their current life is heading towards. I always tell them that it’sYou’ who is responsible for whatever good or bad is happening to you. Stop blaming and Start to amaze the world. When you take just the first step towards your dream, the world automatically starts unveiling its beautiful plans for you. Then you never have to look back, Your work keeps you motivated and keeps you going. The first step is all you need and that’s only the step where many fails. So remember “ Its Success which makes you beautiful. You just need to take A LEAP WITHIN”.